I’ve never read TWILIGHT or any other paranormal romance featuring a vampire (unless you count BLOOD SUCKING FIENDS by Christopher Moore, which is more comedy than romance). Somehow, the thought of reading a whole novel featuring vampires just doesn’t appeal to me. 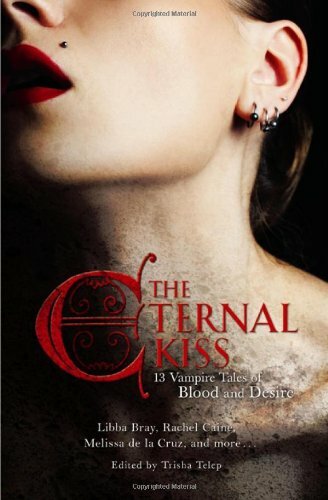 So when I saw this anthology, featuring 13 vampire tales of blood and desire from some of the best known YA authors writing today, I thought I could at least give it a try since short stories aren't as big of a commitment as novels. The stories are a real mix of genres, so it does serve as a good intro into vamp fiction. I won’t cover every story here, just a few standouts. Undead Is Very Hot Right Now by Sarah Brennan, about a boy band featuring a vampire, was my favorite by far of all the stories. I adored the comedic tone, the voice, the characters (especially Faye, the manager) and could totally see this as a TV show. I am very eager to read Brennan’s other work now. The Coldest Girl in Coldtown by Holly Black, about a girl who stays drunk to avoid the bloodlust that will turn her into a vampire if she can't hold out for 80 days, had the best world building of all the stories in my opinion and I’d definitely be interested in a longer work featuring coldtown, although this episode felt complete. I really liked all the details Black was able to weave in – very clever. Sword Point by Maria V. Snyder introduces Ava, a human teen obsessed with fencing (the sport, not the crime) and her experiences at an exclusive training club which is more than seems at first. I liked how Snyder worked in the mythology so effortlessly and how I got a very good sense of Ava’s character in such a short time. Falling to Ash by Karen Mahoney is one of those short stories that feels like a excerpt of a longer work (maybe it is?). I really liked the main character, Moth, a fairly new vampire, and I enjoyed her encounter with a vampire hunter’s hot son. It made me want more. The Thirteenth Step by Libba Bray falls more in the horror genre and reminded me very much of Bluebeard – with the whole don’t look in the room you’ve been told not to enter, or else (though the endings differ). The main character Lauren, who answered an ad to be an assistant at a drug rescue program, was a bit too clueless for my taste – much like stereotypical movie horror heroines, but I did like the atmosphere. Other Boys by Cassandra Clare is the second short story by Clare I’ve read (after her contribution to GEEKTASTIC) and I have to say that I really like her style. 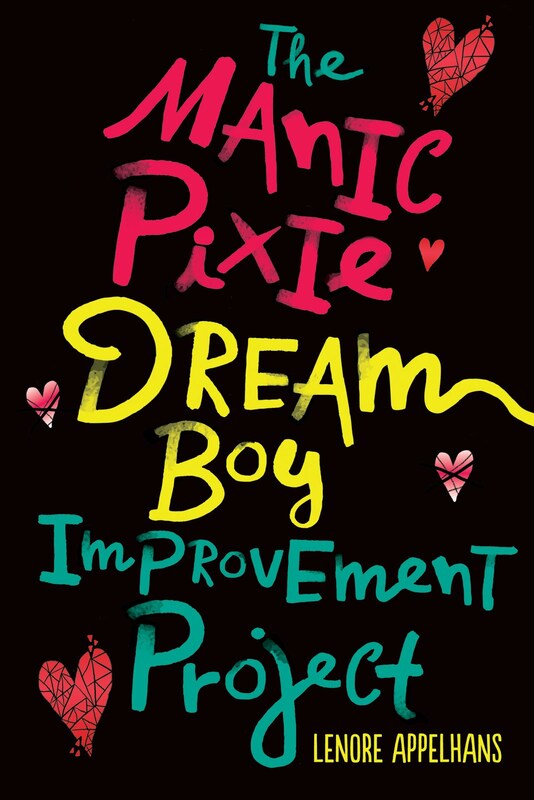 It's about a teen girl who is not allowed to date sneaking out with a boy who says he's a vampire. Reviewers that devour vamp fiction say they find the plot twist too obvious here, but as a newbie, I found it satisfying. All in all, it was definitely interesting reading. I might even want to read a whole novel in the genre now. THE ETERNAL KISS is available in paperback now. Find out more about it at the publisher’s website. This sounds like a fun read to me...I like a good vampire story!! I shared this with my friend Cheryl..she loves vampires! I enjoyed this anthology as well. I thought it had a very nice mix of stories with almost no duds. I too have resisted Twilight, but this review made me want to dip my toe into the vampire pond. Thanks. I am so behind when it comes to vampire literature, so this book seems like a cool way for me to sample some of it without making a huge commitment. I am glad to hear that you liked it and that it was a good read for you. I will be looking for it. Thanks! I have been reading the stories here and there in the last days, I really enjoy them too. Plus it makes me discover new authors! There are some really great authors in there! Wow. *beams* Your kind words encourage me greatly as I write the tale of the boyband on tour.